The rear tunnel height is 190 cm with adjusting straps to take up any slack. The awning has large panoramic windows all round to let the light in and for a great view out – they all have roll away blinds. Folds into a compact, oversized carry bag. A compact instant pitching dome design for extra living space, Spokane has a click-into-place freestanding steel pole frame with push button release for reliable erection and packing away. With standing headroom, five curtained windows, front and rear doors and a sewn-in groundsheet, it’s a practical awning for touring. For your minivan, 4 x 4, utility vehicle or station wagon. Sturdy with anodized aluminium case and manual mechanism. Quick, easy installation and utilization. 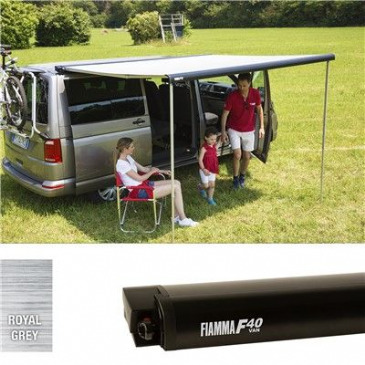 Fiamma Awning F35 Pro Titanium Case is available in Sizes 180, 220, 250, 270, 300 with canopy colours in Royal Blue or Royal Grey. For your minivan, 4 x 4, utility vehicle or station wagon. Concept awning from Fiamma. This awning suits the VW T5 / T6 vehicle perfectly. It sits very low above the roof line of the vehicle and has a sleek automotive appearance. 2.7M long and delivered with deep black outer case. Only suitable for vehicles without pop roof. 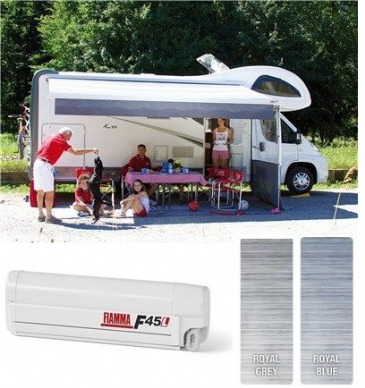 Fiamma F45L Awning Polar White Case is available in sizes 450, 500, 550 with canopy in Royal Blue or Royal Grey. 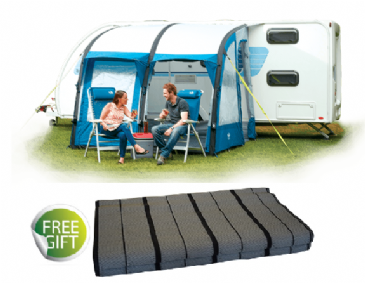 A larger sized awning ideal for large motorhomes. 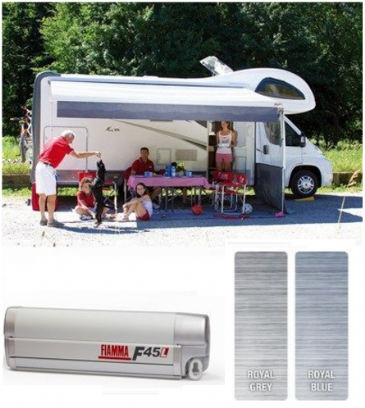 Fiamma F45L Awning Titanium Case is available in sizes 450, 500, 550 with canopy colours in Royal Blue or Royal Grey. Perfect for large motorhomes. 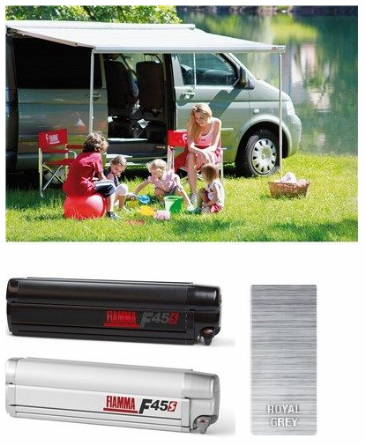 The popular Fiamma F45 S awning designed for Volkswagen T5 campervans; with a casing and length for a perfect fit. Available with a left-sided winch for fitment to right hand drive UK vehicles; also available in EU / Left hand drive models. 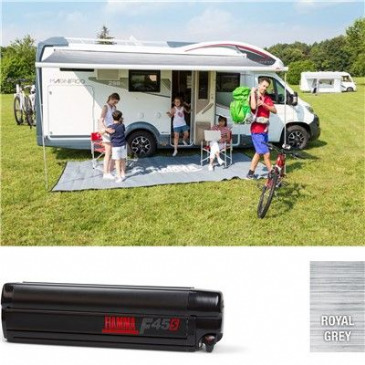 Fiamma F45S Awning Deep Black case is available in sizes 190, 230, 260, 300, 350, 375, 400, 425, 450 with the canopy colour in Royal Grey. 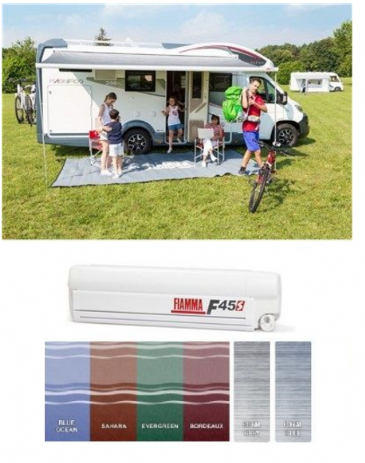 Fiamma F45S Awning Titanium case is available in sizes 190, 230, 260, 300, 350, 375, 400, 425, 450 with the canopy colours in Royal Blue, Royal Grey or Blue Ocean. 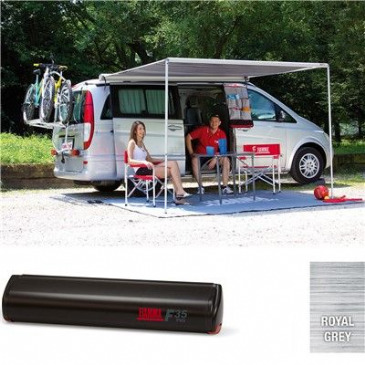 The Fiamma F65L Awning is new from Fiamma, it replaces the outgoing F65 Awning which is a range of larger awnings to be fitted to the Motorhome, Campervan or Caravan roof that allows you to add a shaded area to your Motorhome and later fit an optional Fiamma Privacy Room. Fiamma F65S Motorhome Awning Black Case is available in sizes 290, 320, 370 & 400 with canopy colours in Royal Blue or Royal Grey. Fiamma F65S Motorhome Awning White Case is available in sizes 290, 320, 340, 370 & 400 with canopy colours in Royal Blue or Royal Grey. Fiamma F65S Motorhome Awning Titanium Case is available in sizes 290, 320, 340, 370 & 400 with canopy colours in Royal Blue or Royal Grey. 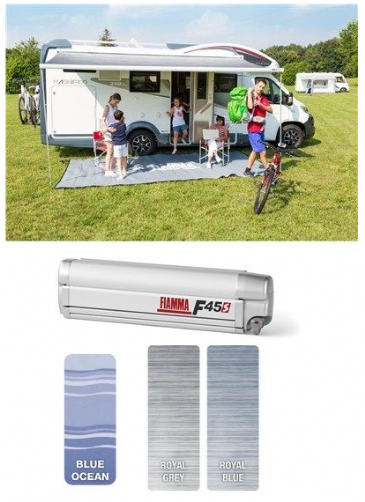 Fiamma F70 Caravan Motorhome Awning is available in sizes 400 & 450 with Polar White or Titanium cases in a Royal Blue or Royal Grey canopy ​​. Privacy Room for use on F40 2.7M awnings. This room is designed for small vans where weight and space is limited. Made from Ripstop fabric and weighing only 4.6KG. Fiamma Privacy Room Ultra Light - F45 / F65 is available in sizes Van 260, 300, 350, 400, 450. The Privacy Rail Kit is also available. 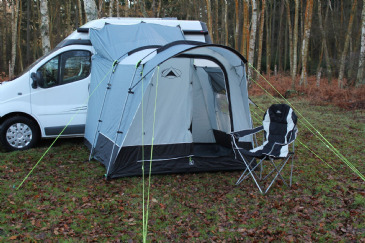 An inner tent specifically designed to fit into the Travel Pod Action Air awning by Kampa. Our Silhouette Motor is small, compact and lightweight and ideal for people who require a straightforward, uncomplicated quality motor annexe. 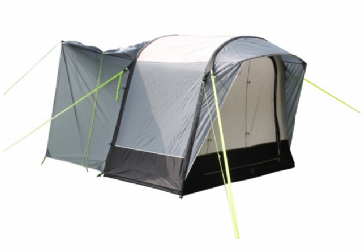 It has plenty of features including an extra wide front door, eyebrow porch and a sewn in groundsheet. Our Silhouette Motor is now available using our Air Volution pole free technology. It is small, compact and lightweight and is ideal for people who require a straightforward uncomplicated motor annexe. 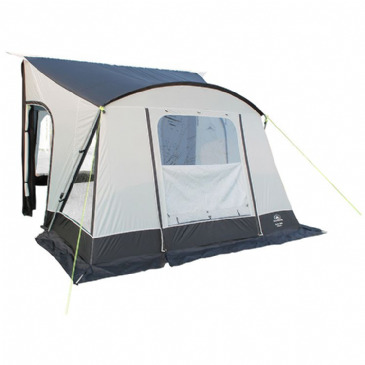 It has plenty of features including an extra wide front door, eyebrow porch and sewn in groundsheet. Our new Swift 325, with similar features to our 260 and 220 Swift models but with the additional benefit of Airflow side Doorways. 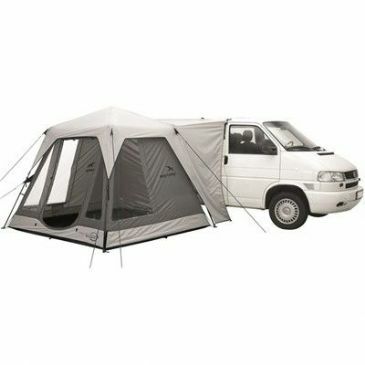 This Sunncamp Swift Van Sun Canopy 260 has been designed and created for the low type vehicles. Although not drive away, its is quick to pitch and take down making it ideal for fair weather shelter. At a very low price. This Thule Omnistor 4900 is available in Size Choices: 2.60 x 2.00m, 3.00 x 2.50m, 3.50 x 2.50m, 4.00 x 2.50m & 4.50 x 2.50m, with Fabric Colour Choices: Mystic Grey & Sapphire Blue​​​​​​​ and Cassette Colour Choices: White, Anodised & Antracite​​​​​​​. 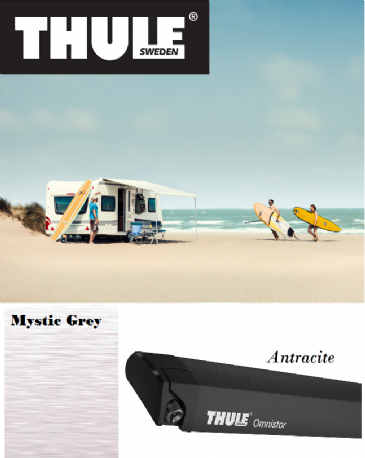 Thule Omnistor 5102 Volkswagen (VW) T5 & T6 260 Awning is available in Cassette Colours Light Grey (2.60m x 2.00m) or Anthracite (2.60m x 2.00m). 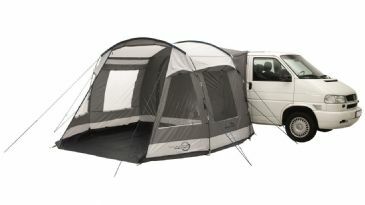 Thule Omnistor 5200 Awning for vans, caravans and motorhomes. The new standard for RV awnings. This Thule Omnistor 5200 is available in Size Choices: 1.92 x 1.40m, 2.32 x 1.80m, 2.62 x 2.00m, 3.02 x 2.50m, 3.52 x 2.50m, 4.02 x 2.50m & 4.52 x 2.50m, with Fabric Colour Choices: Mystic Grey, Sapphire Blue, Blue Sky & Alaska Grey. 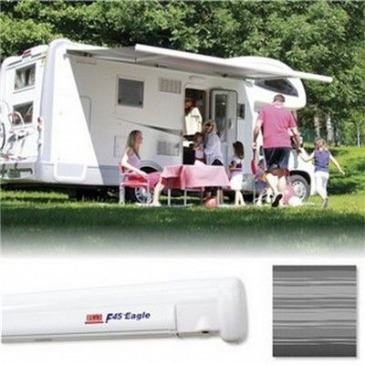 Thule Omnistor 5200 Awning for vans, caravans and motorhomes. The new standard for RV awnings. This antracite casing Omnistor 5200 features in 5 lengths from 2.62m to 4.52m with different canopy fabric colour in Mystic Grey. 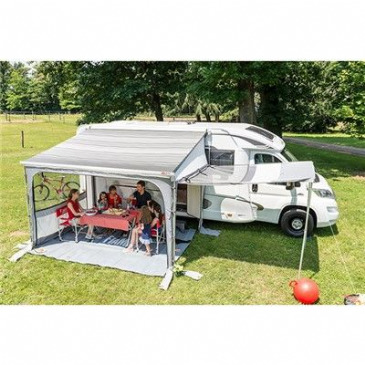 The 5200 is wall-mounted awning with a canopy projection starting from 2.00m to 2.50m. Thule Omnistor 5200 Awning for vans, caravans and motorhomes. The new standard for RV awnings. This white casing Omnistor 5200 features with lengths from 1.90m to 4.50m. 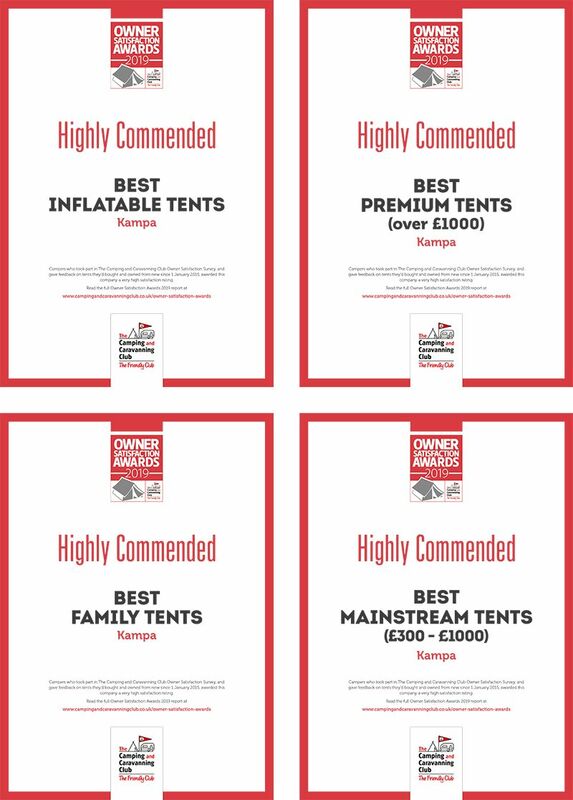 Each size is available with its own canopy fabric colour, you can choose from Blue Sky, Alaska Grey, Uni Light Grey, Mystic Grey and Sapphire Blue. 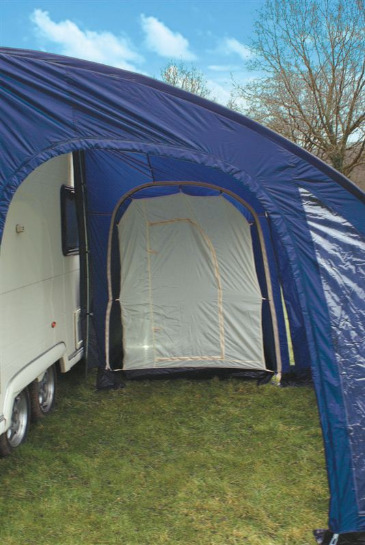 The 5200 is wall-mounted awning with a canopy projection starting from 1.40m to 2.50m. Roof-mounted awning Thule Omnistor 6200 - Universal roof awning in a contemporary design. 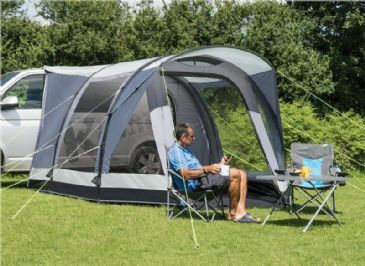 The Thule Omnistor 6200 anodised awning is available in 5 lengths from 3.25m to 4.50m with a maximum projection of 2.5m. The awning cassette is available in anodised, white and anthracite. Roof-mounted awning Thule Omnistor 6200 - Universal roof awning in a contemporary design. 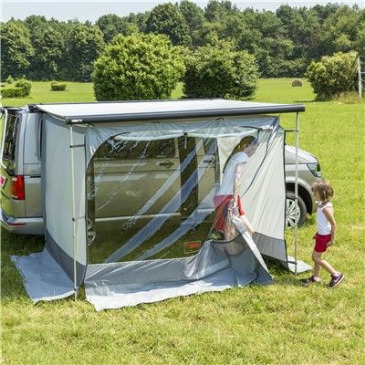 The Thule Omnistor 6200 antracite awning is available in 6 lengths from 2.60m to 4.00m with a maximum projection of 2.5m. The awning cassette is available in anodised, white and anthracite. 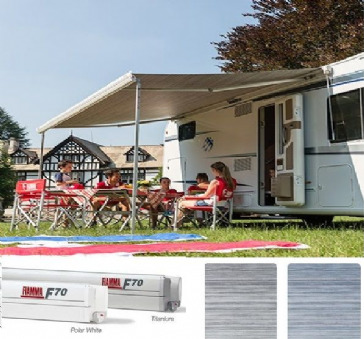 Roof-mounted awning Thule Omnistor 6200 - Universal roof awning in a contemporary design. 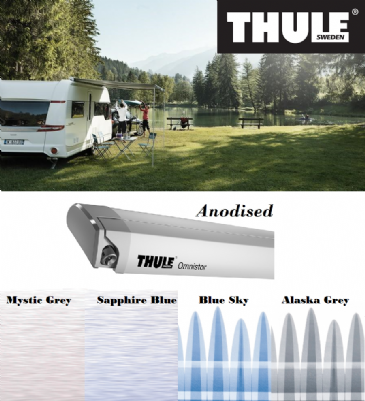 The Thule Omnistor 6200 awning is available in 8 lengths from 2.60m to 4.50m with a maximum projection of 2.5m. 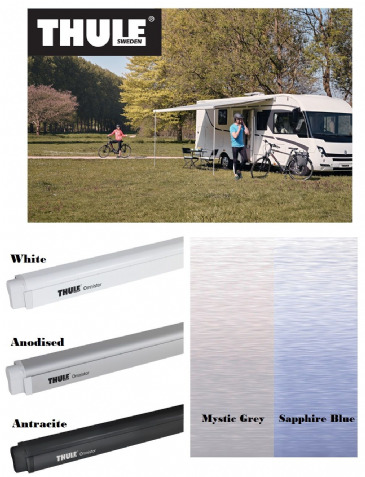 The awning cassette is available in anodised, white and anthracite.